The term talisman is a rather curious artifact designation that appears occasionally in accession records. It applies to objects of power, either ceremonial or superstitious. These rabbits’ feet in the North Carolina Museum of History entered the collection in the 1957—the year of their owner’s death. They belonged to Robert Gregg Cherry, Governor of North Carolina from 1945-1949. According to superstition, rubbing a rabbit’s foot conveys good luck. As an orphan, a World War I veteran, and a seasoned politician, Cherry had many hard knocks as well as victories. Perhaps these feet look so different from the furry rabbits’ feet sold today because they were such well-used good luck charms for Cherry. Their example illustrates the occasional trickiness of nomenclature in artifact registration practices. Registrars designated them as “charms,” in the “Jewelry” classification of the “Personal Artifact” category. “Charm” in common parlance is a term that has both sacred and profane meanings; the rabbits’ feet could have been used both as good luck charms and as types of pendants. According to The Revised Nomenclature for Museum Cataloging, however, the “adornment/ jewelry [classification] lacks the communicative aspect of objects listed in ‘Personal Symbol’ classification.” “Talisman” would have been another nomenclature option for these artifacts, within the “Personal Symbol” classification of the “Communication Artifacts” category, and the term has much a more specific, magical connotation. Talismans can be funky or spooky and may reveal beliefs about the person who collected them or the culture that produced and/ or used them. The talismans in one Southern museum’s collection include a lock of hair from a revered Confederate general and the bark of a tree from the scene of Bonnie and Clyde’s death. Does your collection contain any objects recorded with the term “talisman?” We’d love to share talisman images and stories from your collection! All archaeological field investigations begin with a well developed research design. The outline of the research design can range from simple to complex, informal to formal. Archaeologists can and do develop the plan to address any number of specific research questions. Often, once the actual field investigations begin additional research avenues become readily apparent. This frequently is the result of unanticipated artifact recoveries. Recently, archaeologists and historians investigated the archaeological evidence pertaining to the May 16, 1771, battle that took place between Royal Governor William Tryon and over 2000 local Regulators at what is now Alamance Battleground State Historic Site, when they discovered a unique and very interesting button. At first glance, it appeared to be just an “ordinary” metal button with the letters USA visible on one side. However, upon closer examination, research historian Josh Howard of the North Carolina Office of Archives and History immediately recognized the button as a type worn by the Continental Army in the American Revolution. This is the type and style of button that was issued to the Maryland and Delaware Continental Regiments in the fall of 1780. The recovery and subsequent identification of this button was extremely important, as it provided, to date, the only known archaeological evidence to support a long-standing documentary claim that suggested a Revolutionary War skirmish took place at the site in 1781, between Capt. Robert Kirkwood’s Delaware Continental company and a detachment of General Cornwallis’s Army. Kirkwood wrote in his journal that he and his comrades “came up with the enemy at Allamance” on March 4, 1781 and marched to “the Regulation ground and attack’d the advanc’d picquet” on the following night. This much welcomed but unanticipated discovery has allowed the staff of Alamance Battleground State Historic Site to interpret an aspect of the site that previously had not been part of their mission statement and thus not interpreted, because no physical evidence of the skirmish had been discovered. Further, because a systematic, research-driven methodological approach guided the field investigation, the button’s exact provenance is assured. This type of information will assist other researchers in defining additional areas of the site that may have witnessed Revolutionary War era activities. From our SNCA partners: Next week (October 24-30, 2011) is Archives Week! This is an annual, week-long observance of the agencies and people responsible for maintaining and making available the archival and historical records of our nation, state, communities, and individuals. The events not only celebrate the work that we and our organizations do, but they also raise public awareness. By holding exhibit openings, workshops, lectures, open houses, and other related events during Archives Week, North Carolina’s archives community can make a concerted effort to bring the importance of our profession to the attention of our state’s citizenry and public leaders. 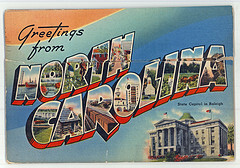 The Society of North Carolina Archivists (SNCA) sponsors the week, invites all institutions holding archival collections to participate, and will serve as an information clearinghouse for events occurring during the week. Your participation in Archives Week is important because increased public awareness of historical records translates into increased support of archives. Archives Week and other outreach efforts help the public and resource allocators such as administrators, trustees, commissioners, and legislators, understand and appreciate that historical records have value for both an understanding of the past and a contribution to the present. By participating in Archives Week you get to show off your collections and the work done by your staff to your colleagues, patrons, and administrators and demonstrate the value of the records and the work you do with them. Tours: Behind the scenes tours or open houses can help to dispel the mysterious qualities of what goes on in those back rooms. Create a day where interested patrons can meet the staff, tour the facility and learn about the holdings. Invite special guests as part of this event. Family Heritage Day: Genealogists are archives’ most frequent patrons! Devise a program that celebrates the genealogical endeavor. Work to build bridges between archivists and genealogists by educating them through fun activities and exposure of resources. Workshops: Present a workshop for the preservation of archival materials to empower the public to save their family histories. This includes photographs, papers, scrapbooks and the like. Arm your residents with the know-how to help assure their families will not go the way of the silverfish and mice! Local History Presentations: Local history is a big draw for towns. Invite a local historian to give a lecture about your town or region. Archives “Road Show:” Create a community event where locals can bring in their old and rare items. This would be patterned after the Antiques Road Show but would not include appraisal values. 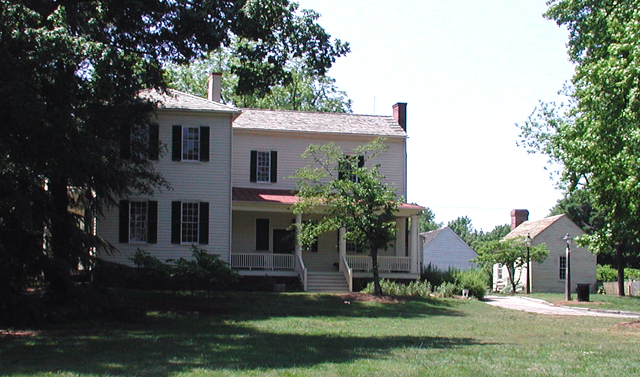 Local historians can be on hand to make context connections with the artifacts and local events. “Photo Days:” Encourage local residents to bring in their local history-related photographs to be scanned and included in the library’s local photograph collection. Encourage the public to become active “collectors” for the archives in the form of a local photograph collection. The lost art of letter writing: Work with high school teachers or history faculty on an assignment that focuses on the lost art of letter writing. Have students come and look at old letters that you have selected from your collection and compare that correspondence to the kind of correspondence they conduct in texting and social media formats. Scavenger Hunt: Create a scavenger hunt for important documents related to the state and/or local history; patterned after the “Amazing Race” (each team receives a clue at each destination to lead them to the next item). This could be done within the confines of the school property (electronically) or as a field trip to various historic buildings or places where records are kept (library, museum, town hall, courthouse). Archivists work with teachers to identify documents and construct clues. Oral Histories: Archivists work with elementary school teachers on oral history assignments, where students are assigned to tape-record interviews with the oldest member of their family or oldest person in their neighborhood about some topic related to “old times.” One way to begin is to ask the person being interviewed to find some picture or artifact that sparks memories of something that happened in his/her community and talk about that memory. Lecture: Invite frequent researchers to present their findings during an hour-long lecture or famous alumnus about their time at your school. Events like this do not require large expenditures on refreshments. Light snacks and beverages can suffice to make it a fun event. Awards or Recognitions: Archives week is a particularly good time to recognize volunteers or people in your community who have supported or made significant contributions to your repository. Campus Histories: Provide campus histories or work with campus newspaper staff to construct campus histories about topics such as buildings, events, and famous alumni. Essay Contest: Sponsor an essay contest about campus history or another strong collecting area. There are many promising possibilities to engage your community and to enable your collections to serve the public interest in meaningful ways. Happy Archives Week! The challenging topics of interpretation discussed at these sessions included Gay/Lesbian/Bisexual/Transgender (GLBT) history, Native American communities, slavery and domestic labor, and communities previously unrecognized by history. Staff at the Mordecai House in Raleigh are currently strategizing ways to incorporate stories of abusive slave treatment into the site's interpretation. Ground your story in solid research. Include reference to the target communities in your institutional mission statement. Seek out members of communities currently connected to stories your site needs to tell; when possible, hire them as staff members contributing to daily operations or appoint them as board members involved in decision making. Consider working with trained psychologists to facilitate tough discussions between various interest groups. Allow plenty of time to nurture the necessary relationships with target communities. The case of one New England historic site illustrates that seasoned docents/ tour guides can often be the interest group most invested in older interpretations and least enthusiastic about embracing new stories. The director, board, and past owner’s descendants wanted to discuss the past owner’s gayness as part of the site’s interpretation. With sound research supporting tour revisions, the guides were able to accept the new information and present it in a matter-of-fact way. So far, the site has only received positive visitor responses. If this kind of interpretive challenge resonates with your site, you may want to consider tuning in for two FREE upcoming webinars that AASLH has organized. Linda Norris will lead “Telling a Good Story,” on November 17th (2-3:15) and “Creating Historic House Interpretive Plans that Connect,” on December 8th (2-3:15) will feature Nancy Bryk’s work and wisdom. Pre-registration is required. What interpretive challenges does your site encounter? What has worked well or not so well in your efforts to tell tough stories? 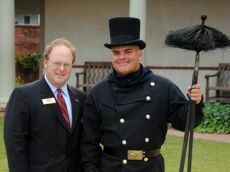 State Fire Marshal Wayne Goodwin and Havelock chimney sweep Bob Priesing visited the colonial kitchen fireplace at Tryon Palace as part of National Fire Prevention Week. When was the last time you checked your smoke detectors, conducted a fire drill, or checked your fire extinguishers? This week marks the 140th anniversary of the Great Chicago Fire and the birth of Fire Prevention in our country. Each year school-aged children all over the United States spend a week learning the important lessons of stop, drop, and roll and basic fire and life safety. But how much time since elementary school have you (as an adult) spent thinking about your safety and the safety of your institution? Last year in the United States, of the 1.3 million fires reported, 482,000 of these were in occupied structures–both businesses and residential homes. If you do the math, you can calculate that every 65 seconds a fire is reported in a structure. It’s a scary figure when you stop and think about it, but it’s better than what we were seeing 25 years ago, when the national average was about every 18 seconds! We can credit this change to better fire and life safety education as well as stricter building codes and better inspection processes. Many times I hear how people dread the annual inspection of their cultural institution by their local fire marshal’s office. These yearly inspections are not being done to hinder our business or be personal burdens for us to deal with, but more to help keep the number of fires down in our country and to protect our lives and property. Take a few minutes over the next few days to conduct a fire safety drill, check your smoke detectors, or even review with staff the proper use of a fire extinguisher. Plan Ahead! If a fire breaks out in your home, or business you may have only a few minutes to get out safely once the smoke alarm sounds. Everyone needs to know what to do and where to go if there is a fire. Make an escape plan. Draw a map of your institution showing all doors and windows. Discuss the plan with everyone on your staff. Have an outside meeting place (like a tree, light pole or mailbox) a safe distance from the building where everyone should meet. Smoke alarms are an important part of a any fire escape plan. When there is a fire, smoke spreads fast. Working smoke alarms give you early warning so you can get outside quickly. Most institutions will have a commercial system that is monitored and inspected annually by the company that installed it. However, many of our institutions rely on standard home models for alerting staff to smoke or fire. Install smoke alarms inside every room, and on every level of the building, including the basement. Fire extinguishers are an essential tool in your escape plan. Remember that their purpose is not to extinguish a large fire or for you to go back into a burning building. They are designed to take care of smaller fires or to help you escape. Never place yourself in danger. Always be near an exit and ready to escape if need be. Remember the simple steps in using the extinguisher are P-A-S-S.
Another important thing to remember is to always use the correct extinguisher on the fire. Each extinguisher should have a label marking what it is good for. Take a few minutes this week to review your extinguishers with your staff and review their proper use. Let’s work together to make fire safety our number one concern this year! Marc A. Williams, a Fellow of the American Institute of Conservation, recently posted some useful advice on the Museum-L list-serve. Many smaller institutions cannot afford enameled metal shelves and cases for storage. Instead they use plywood. If any type of wood is necessary, it must be sealed to prevent the off-gassing of harmful acidic vapors (formaldehyde, for instance, is a common lumber additive) that will damage many types of artifacts. With his permission, we are sharing Marc’s suggestions here, along with his knowledge about additional sealant materials gleaned from our correspondence with him. Of course, an individual consultation with a conservator is always ideal, as each institution has a host of specific problems to consider. Seal the wooden components, be they wood, plywood, particle board, pressed board or anything made of wood. Seal all surfaces, including undersides, ends and edges. Apply a minimum of three coats of sealant. What is the best sealant? To the best of my knowledge, no studies have been done on sealants for off-gassing. However, in the 1980s, the US Forest Products Laboratory did a comprehensive study of vapor barrier coatings. My assumption is that if H2O (water vapor) can not easily penetrate, as it is a rather small molecule, other offending off-gasses will not easily either. USFPL’s conclusion was that in general, liquid sealants slow down diffusion of gasses, but do not stop them. Three coats are always better than two coats, which are always better than one coat. If an opaque coating is acceptable, the best is aluminum flake pigment in almost any binder…Generally, inclusion of a pigment improved performance over a transparent coating. Shellac proved to be a better barrier than acrylic coatings or oils, which were terrible. 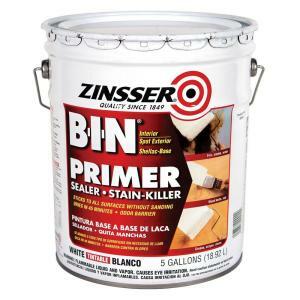 Therefore, for an off-the-shelf product, I would suggest white-pigmented BIN, made by the Zinsser Co…it will be in denatured alcohol as the solvent. This has the advantage of drying rather quickly, so most of the solvent will be gone a week after application of the final coat. This is opposed to a month or more for a coating that is in paint thinner as a solvent. After three coats and a week of drying, a different paint can be applied if desired as a topcoat. Use a latex so that the solvent released will be water and the drying will be faster than with paint thinner. If top coated, wait at least a week before moving objects onto the shelves. Pad the shelves with 1/8″ polyethylene foam, commonly known as ethafoam. This can be purchased in long rolls, generally 550 feet, in varying widths. I like to purchase the perforated foam (at every foot) for easy tearing and installation on shelving. It saves the hassle of measuring, cutting and getting straight cuts, saving a lot of time and wasted material. It is relatively inexpensive from places like Consolidated Plastics or Uline. The foam not only is a barrier from contact, but also pads objects on the shelves, preventing abrasion. Please keep Marc’s advice in mind and on hand, as it is equally useful for both exhibit fabrication and for setting up storage areas. Ok, so you might not really make a buck, but the effort to reproduce aspects of your collection for sale to the public is worthwhile. This kind of distribution is an important form of collections access. Considering these ideas now is also timely, with Christmas not so far away. One of our earlier blogs recommended ordering customized temporary tattoos, designed from collection motifs, as a saleable item with great potential for popular appeal. Reproductions can radically expand the reach of your collection while promoting your institution’s mission. North Carolina native, Dolley Madison, one of Creation Station's products. Vendors in the exhibit hall at the recent American Association for State and Local History (AASLH) conference in Richmond offered several additional ideas for collections reproduction. These included ceramic and brass ornaments, holographic rulers, magnets, key chains, and glass paperweights. In addition to working with specialized product companies, you can use popular photographic reproduction services, such as SnapFish, to create posters, note cards, puzzles, mugs, and even t-shirts from your collection images. One especially eye-catching product at the conference was a small stuffed doll that could be based on a character from your area’s local history or a person or animal figure from your collection. Lead time is 5-6 months (this product would not be an option for the upcoming holiday season.) and a development fee only applies if the prototype is created and the customer declines reproduction. Creation Station LLC will create in small batches and wholesale costs per item usually range from $2.50 to $9.00. 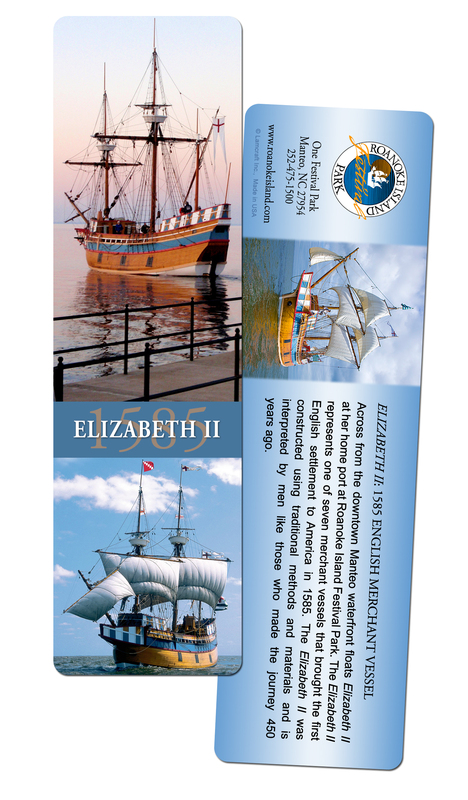 Lamcraft recently produced this bookmark for Roanoke Island Festival Park. Among the lowest-cost customizable items at the AASLH conference were bookmarks. An order of 100 costs $124, for a wholesale price of $1.24. By ordering a larger amount, the price per bookmark decreases dramatically. Digitization technologies have made reproduction of this type more possible for small institutions to afford. One North Carolina business, Spoonflower, located in Durham, is worthwhile contacting for textile projects. The company uses digital images to custom-print a range of fabrics, with a cost of $15-$25/ yard for most textures. Best of all for small institutions, there is no minimum order, so try it out and test the market for limited edition items. Another company, Historical Documents, has a large minimum order of 1,000, but then the cost of individual items is only $.60-$1.50, depending on packaging. Find some interesting or colorful images from your collection to digitize, and then contract to make postcards, calendars, posters, or other prints. Customizing products could be an affordable experiment in product production for your institution, and a way to turn an aspect of your collection into teacher’s gifts and stocking stuffers. So, gather your elves ‘round and see what you can come up with! Many of C2C’s instructional efforts focus on artifact preservation. We research and distribute guidance for storage techniques and materials that can prevent, or at least stall, the ravages of time on the treasures in our institutional collections. The records of those artifacts, however, are at least equally important. 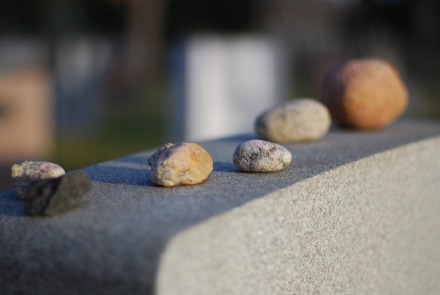 A traditional Jewish custom is to place small stones on graves, each representing a memory. There is comfort in the idea that the dead continue to exist in the minds and hearts of the living. Stone persists and memory transcends beyond the temporary existence of a body. Most museum artifacts also persist beyond the lives of those who created and used them. Museums must tell the stories, and convey the transcendent memories, that have meaning for their current communities. When we are fortunate, institutional records include historical information on individual objects. In other cases, investigations can unlock secrets that become an important part of an artifact’s provenance. During a recent discussion about a Civil-War-era work dress with Paige Myers, Textile Conservator at the NC Museum of History, new information revealed itself. While pointing out signs of wear around the pockets, Paige felt inside and discovered several seeds. These suggest stories of the wearer’s work, what she planted, and what resources were important to her family’s livelihood. Most museums now keep databases of artifact records. Off-site back-ups of these are critical to retain the data in the event of on-site technical problems. In most cases, however, the hard copy of an object file is still important. These can include an object history form that the original donor (or curator at the time of the donation) completed. Any research, published or not, relating to the artifact also belongs in the file. The stories museum artifacts (and records) can tell constitute the connecting link between collections and the communities they exist to serve. Without memory or provenance, collections–like stones–are just inanimate objects. How successful are newer versions of museum databases at including extensive provenance information? Can you foresee the end to the accession file cabinet’s usefulness?